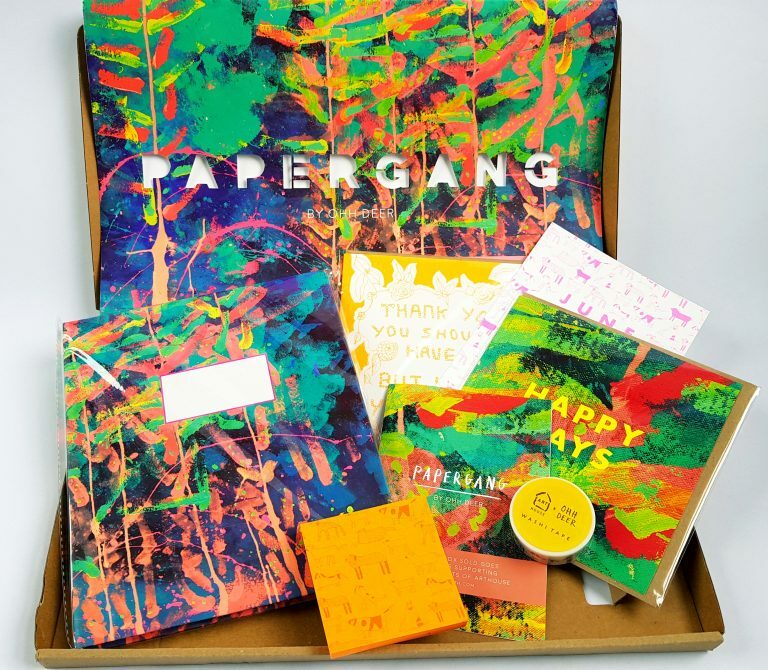 I love interesting designs and lovely stationery, so I’m very excited to be receiving Papergang, a paper and stationery box! 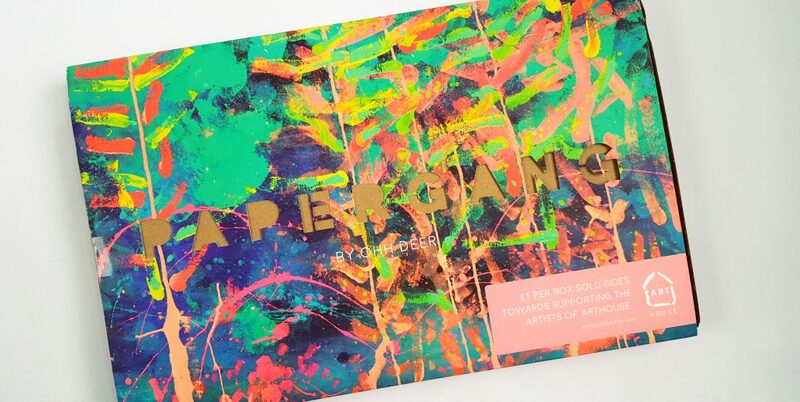 Papergang works with a different artist each month to produce a range of items featuring their work. 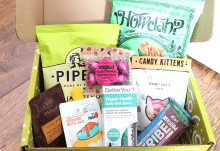 A monthly subscription costs £10.95 + 2.95 p+p. We’re back to the regular shipping box, which fits right through the mailbox. 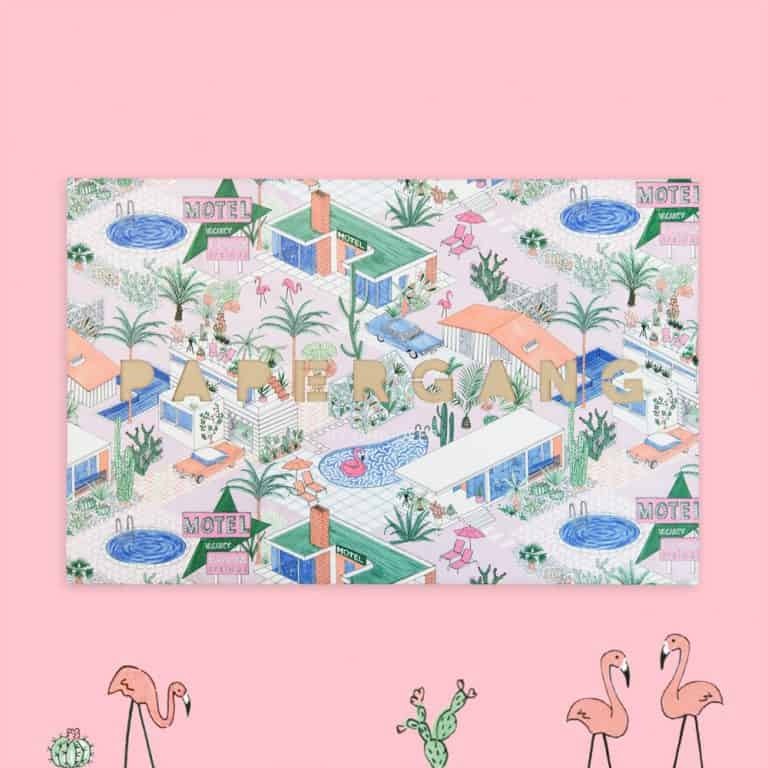 This month’s designs are provided by Arthouse, a wonderful organization that presents the artistic talents of adults who are living with disabilities. Everything is wrapped up in bright tissue paper, very nice to unwrap! This is the A5ish Notebook. 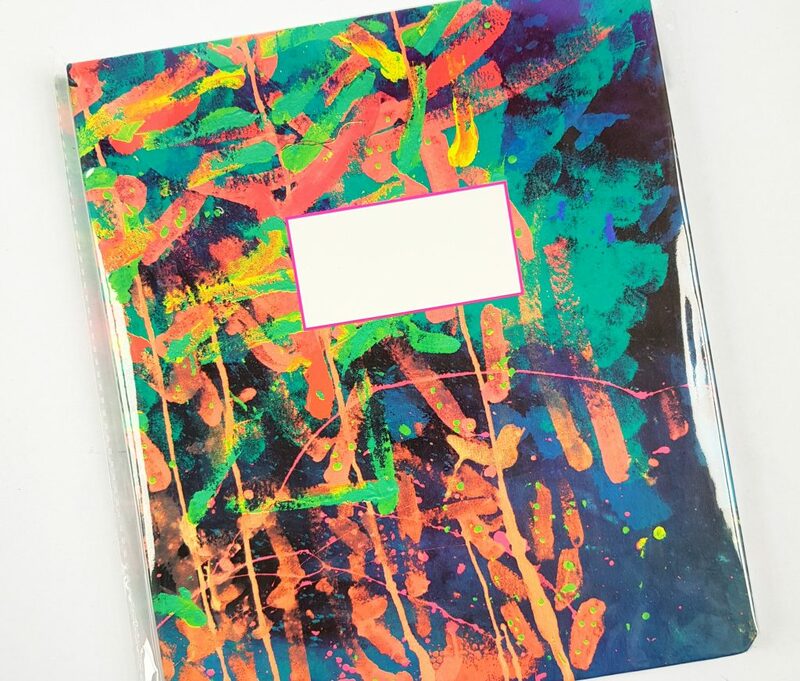 It’s a hardback notebook so it’s nice and sturdy, opens out flat, and has plenty of pages for writing. As a bonus, there are some fun and colourful stickers inside as well! Sticky notes are incredibly useful. 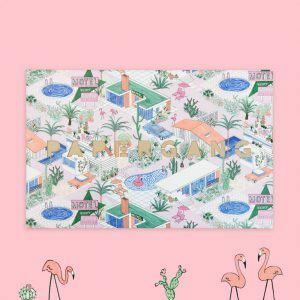 This is a generous 100 sheets, and the pattern of lots of little dogs is very attractive. It’s visible on the paper, but doesn’t get in the way of anything you write! 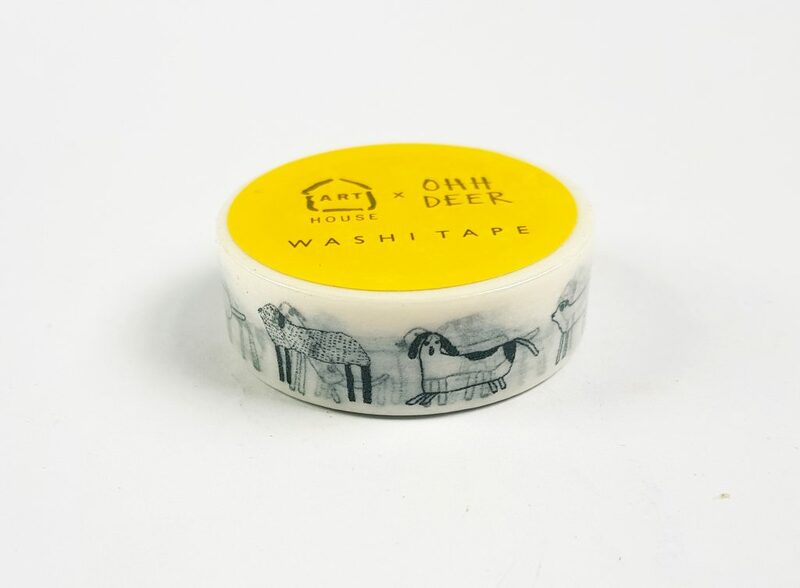 The washi tape is also in the dog pattern, this time in white. 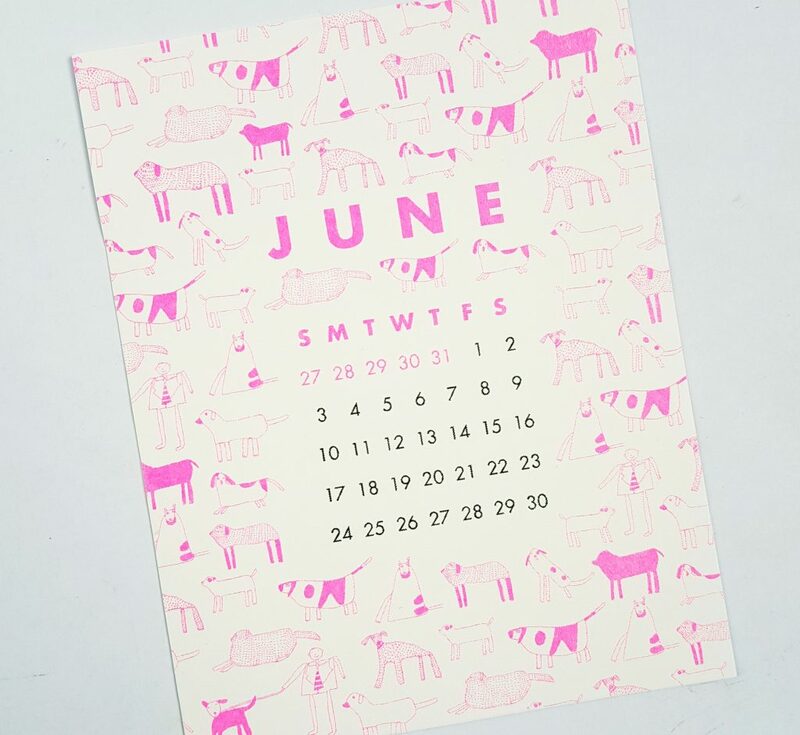 The dog pattern also features on this calendar sheet. Finally, these two lovely greetings cards. They are very nice quality, proper thick card and include envelopes. You can see at the top that the values of the items total a lot more than the cost of the box. Also, all these items are exclusive to Papergang, so you won’t find them anywhere else. I think you can never have too many notebooks and too much washi tape, so I’m delighted to have both this month! Sticky notes are also incredibly useful, I use them all the time to leave myself reminders or leave notes for my family. The sentiments on the greetings cards are perfect for almost any occasion, or simply send someone a nice card for no reason! 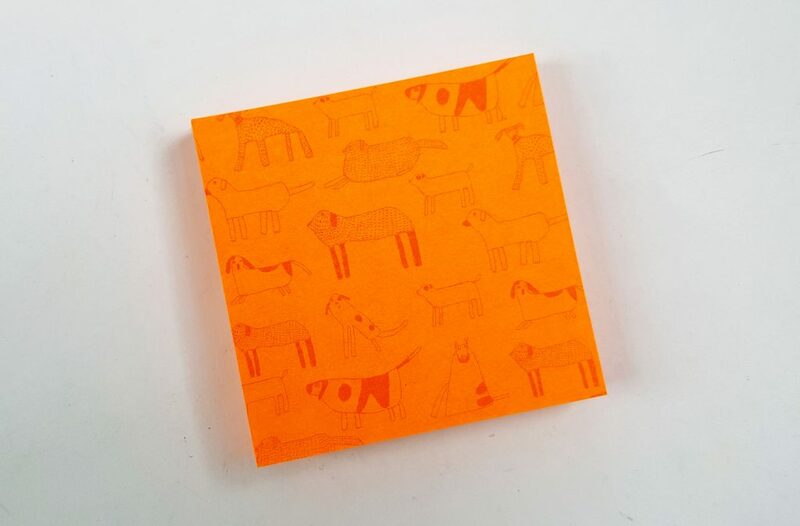 I love the bright colours on the notebook and cards, but my favourite pattern is the little dogs. 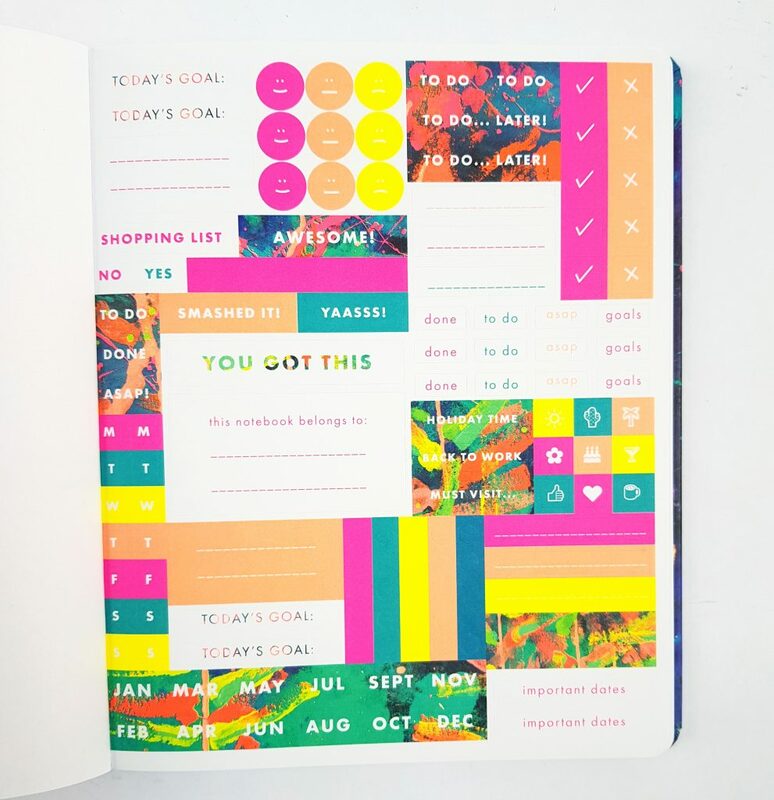 It's wonderful that Papergang has collaberated with this organization to create this month's designs. Not only is it a wonderful charity, the designs themselves are fantastic, and the quality of the items is superb. 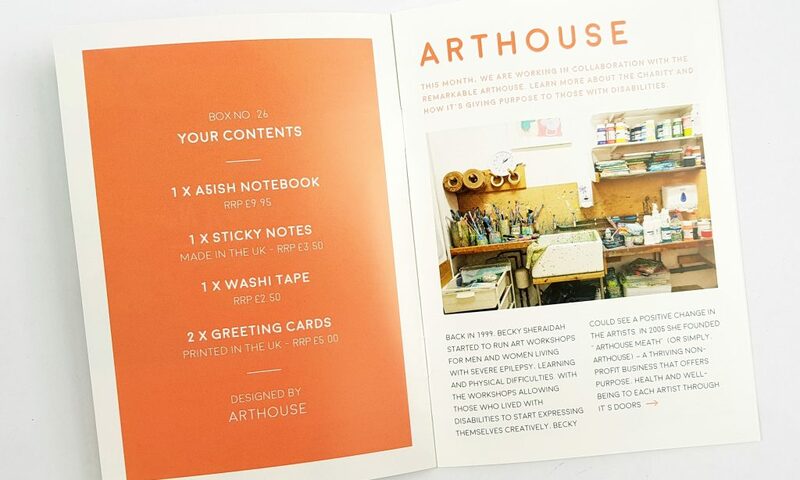 As an added bonus, Papergang is donating £1 to the Arthouse for every box sold. 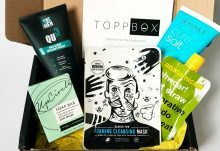 I'm really pleased with everything in this box, it's all useful and attractive, and it's supporting a great cause!